Osijek Bus Station is located in Bartol Kasic Street 70. It is pretty new. It was open 6 years ago. Located near the former station, it’s not far from the main train station. For information about available lines and details about routes please contact the phone: 060 353 353. Remember that it is pretty busy so it's smart to make a purchase on time. Especially for the more popular lines. If you are somewhere in the town center and you feel pretty lost, believe us, you don't need a map. Searching for the station we suggest you to hunt the tram numbers 11, 12 and 13. The last two go all the way to the railway. So even if you fail to get out of the bus at your station it's not a tragedy. As we said before, the main train station is very close to the Osijek Bus Station. The bus is also one of the solutions. But then, depending on where you are, the best lines are: 2 and 7A. Tram and bus tickets for public transport cost 11 kuna / 1.48 EUR in one direction for the first zone and 13 kuna / 1.75 EUR for the other. If you plan to drive around all day like a real tourist, it's definitely the best option for you to buy a daily ticket for 35 kuna / 4.72 EUR for both available zones. Main carrier in Osijek is the City Passenger Transport d.o.o. Osijek. If you prefer TAXI no problem. Just call the service or stop the first one that you see. Also, Osijek Bus Station isn't far from the taxi location. They are separated by 39 meters. Traffic is running normally, and significant delays are rare. Any potential problems may be caused by traffic chaos (traffic accidents, etc. ), or strong weather incidents. Consequently, there's no reason for the travel not to be comfortable for both the passenger and the bus driver. Osijek has one of the most modern bus stations in the Republic of Croatia and is a delightful departure point. It was open in mid-2011. If you're surprised by its design, know that you're not the only one. This station, more precisely its architects are rewarded for its excellent design. 120 million kuna, 1400 square meters, 250 parking spots in the underground garage and 16 terminals are enough to tell about its value, its modernity and significance. The parking spot will cost you 3 HRK / 0.4 EUR per 1 hour of use. It is literally equipped with everything you could ever need. Okay, not really, but it's well equipped with all the amenities. Thus, there are numerous shops such as bakeries, grocery store and kiosks. So, whether you need biscuits, soda, or newspapers, you'll find it here. If you need a wardrobe when entering the bus station, continue straight to the main entrance, or just ask one of the employees for the direction. The price per bag is 2.50 HRK / 0.34 EUR. From our experience, they also receive larger pieces of "luggage" like baby carriages. Travelers adore the fact that the bus and the train station in Osijek are situated close to each other and that there's an opportunity to easily combine different forms of transportation. When there was no unnecessary complications and you were enjoying the town and its people, it's logical that you will want to come back. Isn't that right? In addition, departures and arrivals at destinations are largely respected in the most part. The timetable is a golden rule, and it is respected most of the time. Finally, as elsewhere in the country, carriers really do take care of the quality and comfort of their buses. Consequently, the bus is normally equipped with: an air conditioner, a space for storing hand luggage, TVs and sockets where passengers are free to connect their cell phones, tablets, etc. WiFi? Most of buses offers free internet connection. Hey, Osijek is a city of parks! It's their main center! Osijek has more parks than any other place in the country and they're covering a total of 39.4 ha. So how could be possible that you are bored here? The largest parks are: King Tomislav's Park, King Drzislav's Park, King Branimir's Park and King Petar Kresimir IV Park. The last mention is specific to the fact that it's the only park in Osijek that was built in French style. Talking about King Drzislav's Park features are: the geometric shape of the music shell, the monument to the fallen domobrans, and the garden full of roses on the west side. For children, these parks are a special joy. For those who prefer nature and silence, we would like to highlight the coast of the Drava, which stretches along Osijek. Its neat promenade is complemented by greenery, slow flowing water and benches along the coast. Otherwise, this river is a true decoration of the town, so it's no surprise that each one of us is excited about it. It's a happy area equally for the young as well as the older ones. In addition, many kids made some of their first steps along Drava. Tourist guides for Osijek are quite unusual considering that it can be perfectly visited without additional assistance. On the other hand, getting help could be a good idea in the museums and during sightseeing of different historical legacies, so this you should consider. There's never too much time in Osijek. First of all, have you already visited sights such as the Osijek Fortress and the Cathedral of St. Peter and Paul the Apostle? The mentioned Fortress is the center from which today the largest city in the East of Croatia has emerged. It is a Baroque building built in the 18th century, where many sacral, military and civilian monuments of culture have been preserved for many years. The cathedral, more precisely concatenated, is a wonderful example of neo-Gothic construction. It's the highest building in Croatia outside of Zagreb. The bishop Josip Juraj Strossmayer gave instructions for construction, and a total of three and a half million bricks were used. In addition to them in Osijek you should also visit St. the Trinity in which it is located The Guard Building in which are located: the present Archaeological Museum and the statue of St. Trinity. You have visited all interesting landmarks, and you still have time before leaving the city? No problem. Jump on the internet and find some interesting events. Maybe an interesting show by the Croatian National Theater in Osijek? It is expected that you'll be hungry after sightseeing. In that segment, we suggest that you consider one of the following, positively rated, restaurants: Rose, Rustica, Lumiere, American Bar Dollar and Winter Harbor. After all, there are certainly plenty of bakers, fast food facilities and restaurants with traditional, homemade food that you have a chance to enjoy in Osijek. Ask hosts, explore, try. You won't certainly be disappointed. If you're planning to stay in Osijek for couple of days and you didn't book your accommodation, we'll give you some examples of the main city hotels: Hotel Osijek, Hotel Waldinger and Hotel Central. For Osijek, our starting point, the most important departures are for the following destinations: Belgrade, Zadar and Zagreb. On those lines the bus drives regularly, i.e. several times a day. Consequently, you don't need to worry too much if you're buying your ticket in the last minute. If you're planning to travel to Zagreb, count that for 282.90 km distance it will take you about 3 to 4 hours to get there. Use that time to observe the passing landscapes, or to read a book. It's best to immediately buy a return ticket if you're planning the back travel. This way you can get discounts that are independent of certain categories, like for example discounts for children and students. 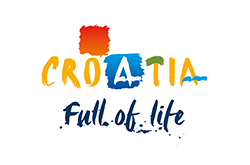 Other equally important destinations that are hidden inside the Republic of Croatia and to which you can easily get from Osijek are: Dubrovnik, Makarska, Pakrac, Plitvice Lakes, Porec, Pozega, Pula, Rovinj, Rijeka, Samobor, Sisak, Split, Sibenik, Trogir, Umag, Varazdin and Vinkovci. From cities and places outside our borders, if your passport is in your pocket, we point out: Vienna, Budapest, Mostar, Munich, Podgorica, Prague and Sarajevo (Bosnia and Herzegovina). These destinations are scattered mostly in neighboring countries. You know them? Cool. But if you aren't familiar with any of them, use Google. Get your one-way and/or return ticket at check-in counters or through Vollo website or application. Using Vollo you can see the prices of the tickets, the number of available lines, the carriers, and the anticipated arrivals. The information counter is the right place to search for: various news and updates, discounts, services, actions, a new timetable and accurate notifications. Also, there you can check the starting terminal before travelling. And yes, let's not forget the number of seat. It seems that the moment you get into the bus all the possible worries become secondary, and the most important thing in the world is to defend your seat. Each of us while buying the ticket ask for the best place in the bus. Mostly the one near the window. And then, someone else sit on our seat. Nope, it won't go that way... right? :) We completely understand you, but we must let you know that the number of seat now belongs to history. Why? Simply because of the earlier mentioned problem.